Anchor: With the sizzling hot weather showing no signs of abating, a growing number of people are suffering from heat-related illnesses. Our Bae Joo-yon has more. Report: The Korea Centers for Disease Control and Prevention(KCDC) said Thursday that a total of two-thousand-549 people have been diagnosed with heat-related conditions such as heat stroke and heat exhaustion this year as of Wednesday. That’s up more than 60 percent compared to all of last year. People in their 50s accounted for the largest group of patients, with some 530 suffering heat-related illnesses, followed by 60-somethings and people in their 40s. It appears that the heat has not only gotten to those in the older age bracket as around 500 people in their 20s and 30s were estimated to have experienced conditions caused by spending time in extremely hot weather. 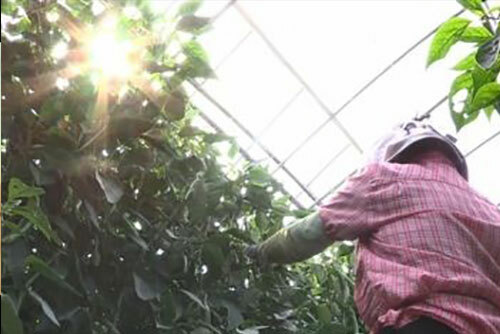 The disease control agency found that 46 percent of patients with heat-related disorders had been working at workshops, greenhouses or in the fields when they suffered symptoms. The death toll from the heat wave has also risen to 30, which is higher than the 28 people who died from heat-related conditions in 2016 and 2017 combined. The provinces of North Gyeongsang, North Jeolla and Gangwon, which largely house farming and fishing villages, saw more deaths than rural areas which had relatively hotter temperatures. The KCDC advised people to refrain from going outside during the day and urged those who inevitably have to engage in outdoor activities to take sufficient rest and drink lots of water. Citizens are also urged to pay extra attention to their health at nighttime, as the agency noted that 14 percent of patients with heat-related disorders had suffered symptoms due to tropical nights.